As the name implies, people might consider this a Strong wine. Strong and good. In the wine continuum (hows that for a $10 word), this wine is just a tad stronger tasting than the French Médoc recently reviewed. To further point out the difference, dryer is another word that comes to mind. In red wines, dryness is generally attributed to tannins. In a less expensive, or probably more appropriately, less aged wine, the extra tannins here might make the wine less desirable. However, these tannins are better behaving, resulting in a little extra dry or puckery feeling in your mouth as the wine goes down. No bad tastes to it as might happen in a lesser wine. 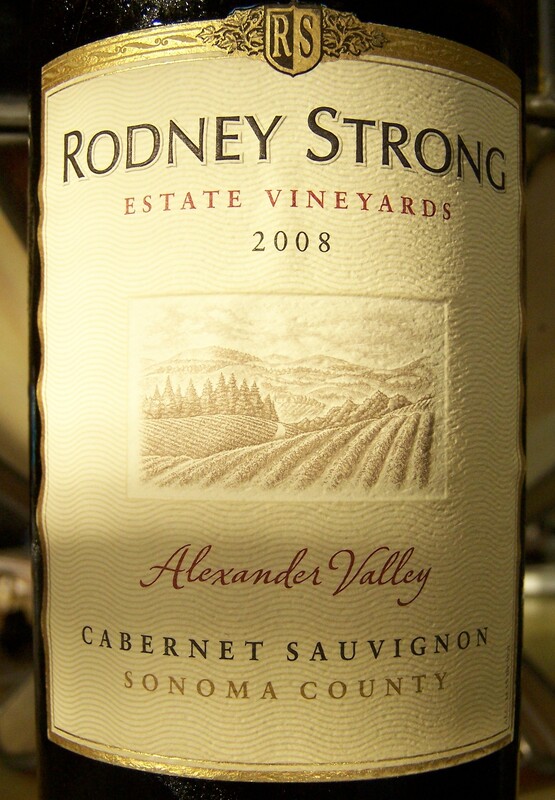 Once again, if you like a stronger red wine, you’ll likely like Rodney’s Alexander Valley Cab. Higher tannin wines generally go well with high protein foods, such as a steak. Although it doesn’t appear to be an exclusive, Trader Joe’s top shelf is the place to look for this Cabernet. This one will go in the second slot of our top 10 list. This entry was posted on 04/09/2011 at 18:51 and is filed under Trader Joe's, Wine. You can follow any responses to this entry through the RSS 2.0 feed. You can leave a response, or trackback from your own site.